Our Shop > Blog > Which Print Graphic Design Career is Right for You? So you’ve got a talent for print graphic design and an interest in the print industry—you may be asking yourself, “where do I go from here?” It can be intimidating breaking into a new field or looking for a new job opportunity, especially if you’re not aware of the types of career options you might have. 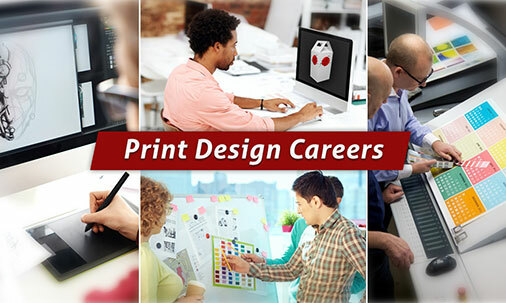 Before you settle for making print design something you do “on the side,” take a look at some of this exciting graphic design career info within the print industry. Each one of them can help you support yourself while you explore your interest in print design. These broad careers allow you to utilize your graphic design skils and creativity through a variety of hands-on applications, depending on your experience level and who you work for. Job Description: The definition of what constitutes “entry level” design work will vary from employer to employer, but for the most part, entry level designers are in charge of all the small stuff that the higher level designers don’t have the time to deal with. This can be everything from retouching photos, making small design fixes in pre-existing designs, converting files or even helping the design become print-ready. There isn’t a lot of creative work to be had at this level—an entry level designer’s focus is on the little things, not the big-picture ideas. In some cases, the work will be so minimal that an entry level designer might be expected to pull his or her weight by pouring coffee or doing menial tasks around the office. Why You Need to Know Print: Every entry level designer wants to move up in the ranks, so having knowledge and experience working with print can help you get the leg up you need to break free of the “entry level” stigma. Being an entry level print designer is a good way to learn about designing for print, but the more you know beforehand, the better chances you have at securing a career path. Education/Experience: Entry level work requires the least amount of design experience, but employers are going to want to at least see some examples of your work. The amount of education and experience required is going to depend on the employer and the work itself-a designer with a strong enough portfolio could feasibly obtain entry level employment even without previous work or educational experience. However, you’ll have to know any of the design programs the employer utilizes, which may include Photoshop, Illustrator, Corel, Quark and the Windows Office Suite. Job Description: When you see a job listing for a Mac Operator, that’s usually just a fancy way for companies to say they’re looking for an entry-level designer that’s comfortable with a Mac. The term is basically a catch-all to describe someone who knows all of the major programs in a Mac design environment. Many employers use this term if their firm only works with Mac computers, as a way to separate out the designers that prefer to work on a PC. You can expect to do most of the same tasks as an entry-level designer, just strictly on a Mac. Why You Need to Know Print: Mac Operators need to be able to feel comfortable designing anything on a Mac; that often includes print design. Knowing the ins and outs of designing for print (as well as being able to do all of that on a Mac operating system) will make you a valuable candidate for these types of positions. Education/Experience: As with any entry-level design job, the amount of experience and education required will vary depending on the employer. However, proficiency with a Mac computer operating system is a must. Job Description: If you thought it was hard pinning down what an entry-level designer looks like, a mid-level print designer is even harder to define. Typically, mid-level designers are given some creative work and their input is valued as part of the design team. Mid-level designers report to higher level designers, but may have entry-level print designers working underneath them or alongside them. They may be expected to pick up the slack and do some of the lower level design work, while getting the chance to do advanced design work as well. Why You Need to Know Print: Simply put, you won’t be able to pull yourself out of the entry-level tier until you know enough about working with print-and have plenty of hands-on experience to boot. 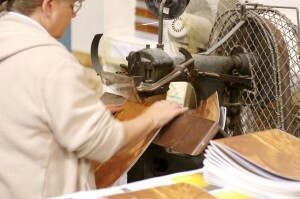 A mid-level print designer has to be completely comfortable working in all different types of print media. Education/Experience: A moderate level of design experience is required-once again, this will depend on the employer. 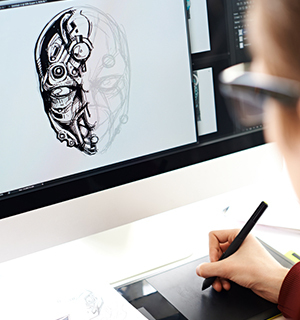 Some employers will require at least a bachelor’s degree in design or a related field and anywhere from 2-6 years of professional experience. In some cases, mid-level designers may be hired in as entry-level workers and then have to work their way up the ranks. 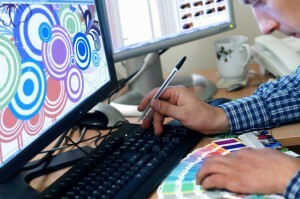 Job Description: A senior level print designer can expect a hefty amount of control. 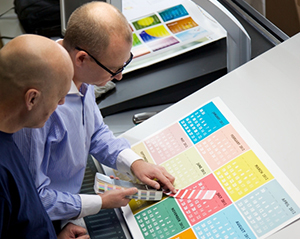 Senior level print designers are typically in charge of a project or the head of a design team, and many of the ideas they implement might be further passed down to the other designers working alongside them. However, there’s just as likely a chance that they could be the only designer working at a company, as “senior level” is a title given by experience. If a company only has the budget for one or two designers, they’ll want the most experienced designers they can find. Why You Need to Know Print: You can really only get this kind of position after you’ve been in the trenches of print design long enough to deserve it. You need to know print inside and out, because you’ll likely be in charge of entire print campaigns involving an array of different print mediums. Experience/Education: Your average senior level print designer usually has at least six or more years of professional design experience. 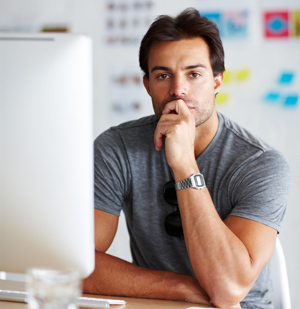 Many employers will also want you to have a bachelor’s degree in design or marketing. Requirements will vary depending on the employer, but the more experience you have, the better your chances for finding senior level work. Job Description: A freelance or self-employed print designer works for themselves instead of being a permanent employee at a company. This allows them great flexibility for picking which projects they work on and setting their own work schedule, but with that flexibility also comes uncertainty. Many times, a freelance print designer can be left in a position where they don’t know where their next job is going to come from, or where one project with a client has finished before they’ve had a chance to find a new client to replace them. Making money as a freelance designer is essentially running a small business, and these designers have to worry as much about the business aspect as keeping their clients happy. Why You Need to Know Print: The more you know about print, the better your chances of finding a client and the more you can charge for your services. You can also sell yourself as a specialized designer. For example, if you do your best work as a presentation folder designer, you can present yourself as a folder expert to your potential clients, and possibly even support yourself working only in your medium of choice. Experience/Education: Technically, there are no requirements for doing freelance work. It all depends on your potential clientele and what kind of skills they’re looking for. Some freelancers have been able to jump into the field without much professional or educational experience, but like in any field, the stronger your background, the more likely it will be that you’ll find clients who want to work with you. Your experience level will also determine the amount of money you’ll be able to charge for the work you do. Though it’s not mandatory, the more you know about running a business, the more success you’ll have as a freelancer. Specialized designers work in a specific area of the print graphic design field—either a particular medium or a particular category of designs. Job Description: A commercial artist or illustrator is someone who creates illustrations and other graphics for a wide range of print publications. This can include everything from illustrating print advertisements, creating branding materials and mascots, cartooning, illustrating books and more. The basic difference between a commercial illustrator and a fine artist is that a commercial illustrator creates work for a client. Typically, a commercial illustrator works freelance or is employed by a marketing firm or advertising agency. Why You Need to Know Print: Whether an artist works with traditional materials or digitally, they must still create illustrations that look good in print. That means working with Pantone colors or CMYK-friendly tones, depending on the type of print job it will be. Knowing the tenets of good design is important for any illustrator or artist, whether they work commercially or not. Education/Experience: As a commercial illustrator, you will be considered for employment by the strength of your portfolio, not necessarily your educational background. That being said, some sort of formal training is advised in order to strengthen your abilities and improve your skill. Job Description: Logo design is such a specialized skill that the designers who are best at it can often make a living doing nothing but designing logos. Logos make up such a crucial aspect of a brand’s identity that these tend to be high-paying jobs with a high level of stress. A logo designer’s work will inform all the design work that comes after it, since the logo will be featured in all of the brand’s web and print designs. Why You Need to Know Print: A logo designer has to be aware of how his or her work is going to be used in the future-that includes any printed materials the brand may create. Not only do logos have to look good in print, they have to look good when printed in only one ink color. Logo designers have to prepare for all print possibilities, and the best way to do that is to have some experience with print design. Education/Experience: Since this is such a specialized area of design, you need a specialized background to be able to make it. A degree in design is important, but you’ll also need experience with marketing, either on the job or in the classroom-preferably a mix of the two. Of course, to be able to make it as a logo designer, you’ll need a pretty impressive portfolio with a focus on your past successes in logo design. Job Description: Most of the stuff you buy at the store comes in some sort of packaging. It is a designer’s job to create the look and functionality of the packaging itself to present the product in the best possible way. They say to never judge a book by its cover, but sometimes we just can’t help it-so it’s a packaging designer’s job to make sure that cover looks as good as the contents inside. Packaging design requires more than just making a design that goes onto the packaging, it’s also about figuring out the shape and size of the packaging itself. How will the customer perceive it, and how will they use it? How will it fit on a shelf at the store or be shipped out to storefronts to be sold? These are the questions the packaging designer has to think about. Why You Need to Know Print: The best packaging designers have a background in print. A packaging designer, like a print graphic designer, has to worry about the feel of the end product as much as the look. There are also similar restrictions on your design. You may be limited to a certain number of ink colors or other particular specifications. Experience/Education: Most jobs in this field will require at least a bachelor’s degree in a related field such as design or marketing. There are entry-level positions available, but some may also require you to work an unpaid internship or go through on-site training. 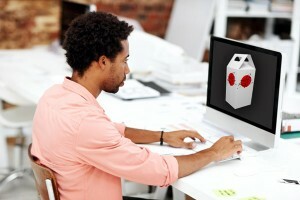 Having experience with art and design is a must, but some packaging designers come into the field from an industrial or engineering background. Job Description: If you’re creating a print design for a client, chances are there is some level of marketing involved. However, those who choose to work solely in print marketing often do so as a part of a marketing firm or advertising agency. Print marketing jobs can range from entry-level to senior level and beyond, and typically require you work either as part of the team or as head of it. Rarely will a print marketing specialist work in a complete vacuum, other than those working in freelance (and even then, you can expect a high level of input from your clients and their marketing teams). 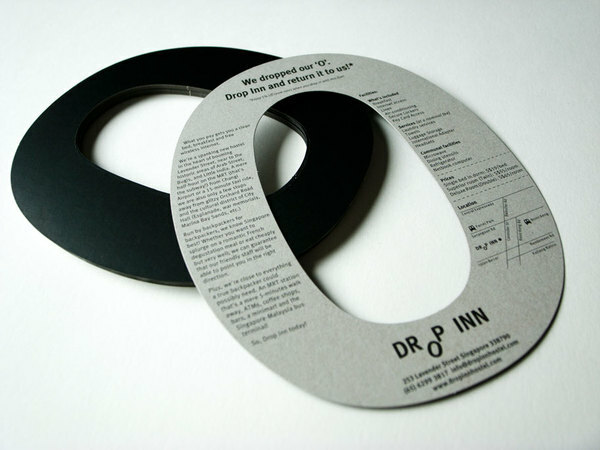 Print marketing designers focus solely on creating print marketing campaigns for their clients. Typically, this covers all aspects of print design, including business cards, letterheads, presentation folders, postcards, mailers, flyer, coupons, brochures and booklets. However, it is possible to present yourself as an expert in just one specialized print discipline, such as being the best presentation folder designer available. Why You Need to Know Print: You can’t get a job as a print marketing designer without some knowledge of how print design works and how to overcome any limitations that print may present. Since print marketing is all about selling a brand’s identity, you won’t have time to learn how to use a print template or work with PMS colors while on the job—you’ll be expected to already know that. Instead you’ll be focused on how to best bring a brand’s identity to the audience’s attention. Experience/Education: For the most part, an entry level position is going to require you to have a degree in either design or marketing, with professional work experience making up the difference in either category. It’s not enough to just be able to make a design look good; you have to know how to be able to sell a brand and how to get customers excited about a product or service. Depending on your level or role within the organization, this may be entirely on your shoulders, or you may work directly under a creative/art director. Job Description: Print publication designers are the people responsible for putting together print media such as newspapers, magazines, books and graphic novels. Designers that work in print publication have to be good at laying out pages and making sure all of the content is readable and arranged in a sensible way. The kinds of tasks you will be doing will vary depending on the type of publication you work for. As a print publication designer, you could be tasked with anything from creating magazine ads, laying out newspaper articles, designing book covers and more. Why You Need to Know Print: The process for printing a publication is not much different than any other print job, so learning the basics of print will be useful in this field. Depending on the type of publication you’d like to work for, you may need specialized print training. For example, if you want to design for books, you’ll need an understand of how book printing and binding works. Experience/Education: A four year degree in design is recommended, but you’ll also need to have some knowledge of journalism, writing, typographical design and other specialized fields related to the publication you’d like to work for. Three to four years of experience in the field is also recommended, although you might be able to find a few entry level positions or internships. With these careers, you’re considerably more likely to work with people and personalities—either managing employees or dealing directly with clients. Job Description: The art director or creative director is typically one of the senior-most design positions at any design firm or advertising agency. Usually, this is considered a management position – an art director’s job is to focus on the big picture ideas and leave the small stuff to those employees they have working underneath them. A print art director will make all the executive decisions as to what a final print campaign design will look like, but he or she may never actually work on the design themselves. Additionally, most design work that goes through the system has to be approved by the creative director. Why You Need to Know Print: An art director might not get as hands-on as other print designers, but you will still need to know a lot about the medium to be able to successfully implement your ideas within it. An art director might not need to fuss about the nitty-gritty details like ink colors and paper textures, but you’ll still need to know enough so that when your employees come to you with their final choices for inks and stocks, you can make an informed decision. Experience/Education: You must be highly skilled to achieve the level of an art director or creative director, with at least six or more years of on the job experience and a bachelor’s degree in design. Any additional certification, experience or education can also help greatly improve your chances of employment. You’ll also need some experience in leadership, which you can usually obtain while working as a senior-level designer. For the most part, this is typically a job that you will work up towards by starting at senior or mid-level jobs and putting in the work to make it to the top. There are occasions, however, when an employer might need to look for an outside hire to put in the leader seat. Job Description: A customer service job can be an excellent way for a print designer to get a head start on a career in the print industry. Print shops need representatives who understand the printing process and know enough about design to be able to help customers make choices for their project. They also serve as a liaison between the print shop and the customer, helping to ensure the customer’s artwork is print ready and communicating with the customer if there is an issue with their project. Why You Need to Know Print: A customer service representative needs to know his or her product-and in this case, that product is print itself. You need to be able to help customers with their artwork, answer their print-related questions and stay on top of the latest print options. Experience/Education: This is an entry level position that usually only requires minimal experience, but the more you know, the better your chances of finding a career in a print shop. Much of the training is done on site, but most employers will want you to have some experience with handling customers and making sales. Other than design savvy, you will need good interpersonal skills as well as working knowledge of the most popular design programs. Job Description: A print shop manager is the person in charge-either because they own the business or because they have what it takes to keep things running smoothly. A print shop manager’s responsibilities include sales, marketing, public relations, hiring and managing employees, working with vendors and more. In short-a print shop manager is expected to do anything and everything it takes to keep the shop in business and profitable. Why You Need to Know Print: Once again, it’s all about knowing your product. You simply can’t go into running a print shop without experience with print and print design. Not only that, you’ll be the one in charge of hiring and managing any print designers the shop might employ, so you’ll need to know what makes for good print design and who doesn’t make the cut. Education/Experience: You need, at the very least, a two or four year degree in business to be a successful print shop manager. Even then, to be successful, you never really stop learning about the business-from books and seminars to conventions and conferences, you’ll have to keep up with the latest trends, technology and business practices to stay competitive. You’re less likely to do any actual graphic design work with these jobs, but they still require a fair amount of print design knowledge. Job Description: A prepress technician works in a print shop and helps facilitate the beginning stages of the printing process by preparing the materials to be printed. This involves a bit of editing work to help ensure that what’s being printed matches the client’s intended design. 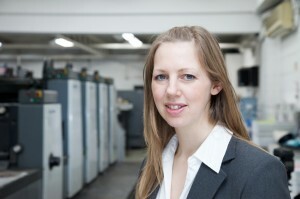 A prepress technician also helps to look for errors so that they can be fixed before the beginning of the run. Why You Need to Know Print: A prepress technician works directly with print, so you obviously need to know what constitutes a good print job. A prepress technician should be able to spot print errors before they happen, which means knowing a lot about what kind of print errors are common. You will pick up a lot of knowledge about print while on the job, but the more you already know, the more valuable you are. Education/Experience: Some certification may be required and some employers might want an associate’s or bachelor’s degree in design. 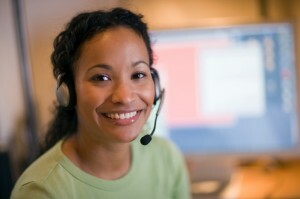 But for the most part, this can be an entry-level position where on-site training is provided. Job Description: A print production operator is responsible for helping to bring a printed design to life by operating and maintaining the necessary machines and equipment. A print production operator has to ensure that the job is running smoothly and that the quality of the final product is sufficient. Why You Need to Know Print: Although this job is a little more on the vocational side, you still need to have strong knowledge of print design. For example, a good print production operator should be able to tell if a print job is getting too much ink (or not enough) and adjust accordingly. Education/Experience: This print job requires specialized training and certification on all printing equipment used in the shop. Most of the time, this will be received as on the job training, but some print shops will require you to have this experience ahead of time. Some basic print design knowledge is also useful to help ensure print quality, but no formal secondary education is required. Job Description: Print finishing is a technical occupation where you help with the assemblage of a print product by either binding together the paper, folding it into its shape (such as a folder or binder) or performing other minor tasks to help complete the print job. Why You Need to Know Print: Print designers know how print media works-how it folds and where it binds. This is a crucial skill in print finishing, as making a mistake can ruin the final product for the client. A print designer has to be able to look at a flat canvas and imagine how it looks when it’s folded into shape, which makes it easier to actually perform that task. Education/Experience: This is an entry level job without many requirements, though a background in print design can definitely help you get a foot in the door. Mostly you will receive on-site training and certification in any of the equipment you might have to use. Job opportunities are all around you, so long as you know what to look for. A great way to find new job opportunities is through networking-you never know when your aunt’s neighbor’s daughter might need a logo design for her new business. The best way to work in the print industry is to stay flexible and to take on opportunities as they come, whether they’re freelance work or as part of a bigger team. Do you have any job-seeking tips you’d like to share? If you’re currently working in your dream job in the print industry, can you share some tips about how to get there? Leave us a comment below!